If you were to trace the lineage of the Nordhavn 63 as you do a race horse, it might go something like this: Sired by the 60, grandson to the 55, born to the 62, with dominant genes from the 46. Sigh. 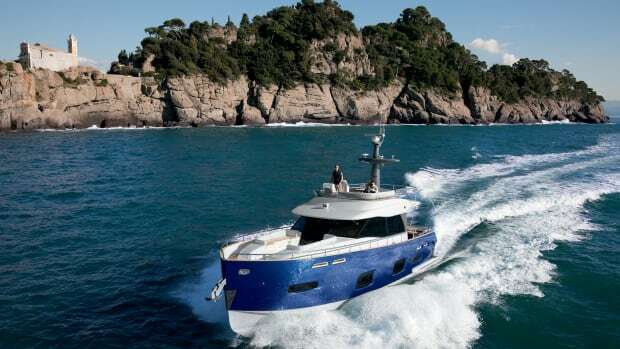 Launching this series in 2004 was the Nordhavn 55, with a seakindly Leishman-designed hull. But the 55 was, to some eyes, ahem, a bit tallish. And more than a few potential owners wanted more room: a bigger cockpit and more lazarette stowage. 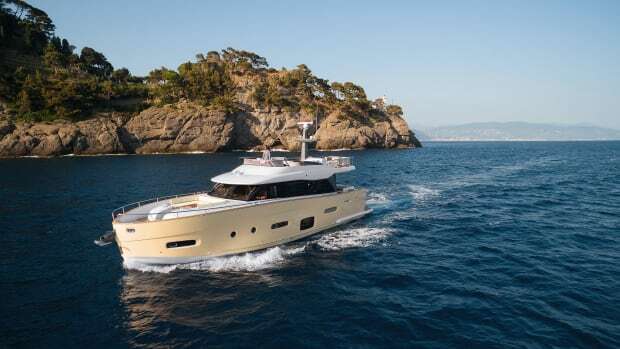 Thus was born the Nordhavn 60 in 2009, which stretched the LOA from 56 feet, 1 inch to 62 feet, 6 inches, while keeping the same 18-foot beam and the forward house with flybridge. As Jeff Leishman predicted, the added 6 feet 5 inches of waterline translated to a speed gain of about 1/3 knot as well as an improved range. 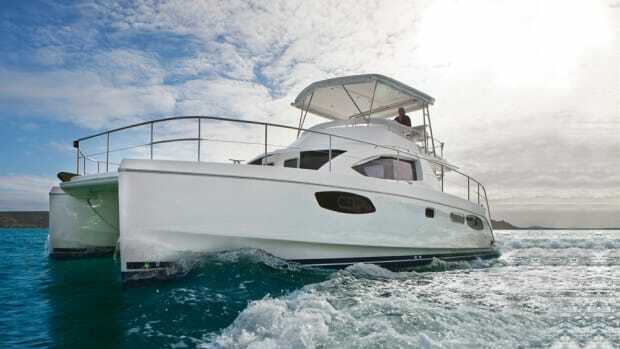 Like the 55, the 60 was available with either single or twin engines. And, no small point, she looked a lot better. 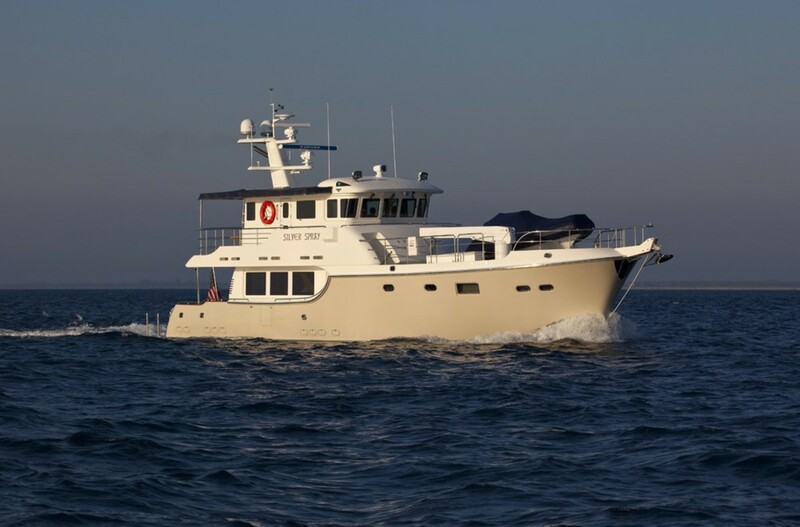 Our Nordhavn 63, Silver Spray, shares the same stretched hull as the N60, but with entirely new deck and engine room molds. 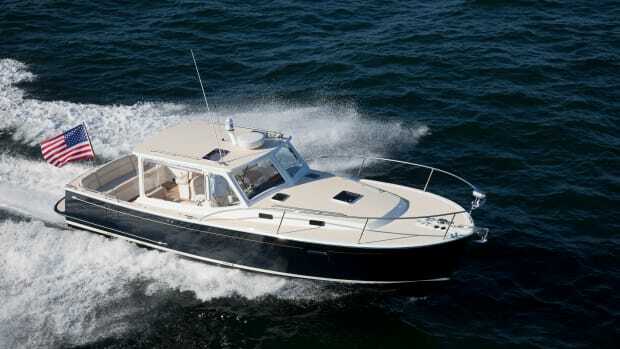 This gives her the salty aft wheelhouse look of the N62, the marina-friendly 18-foot beam, and a foredeck capable of carrying a 16-foot tender. 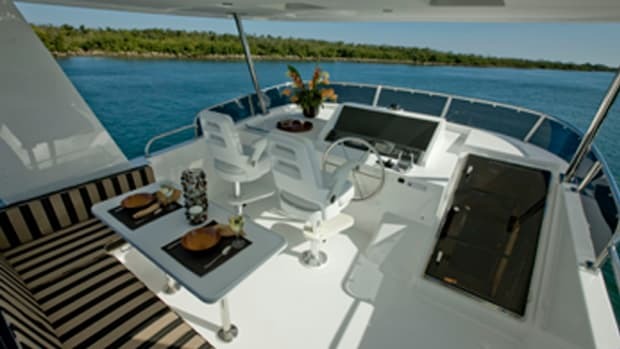 While the raised foredeck provides exceptional interior room, one absence is the flybridge found on the N55/60. 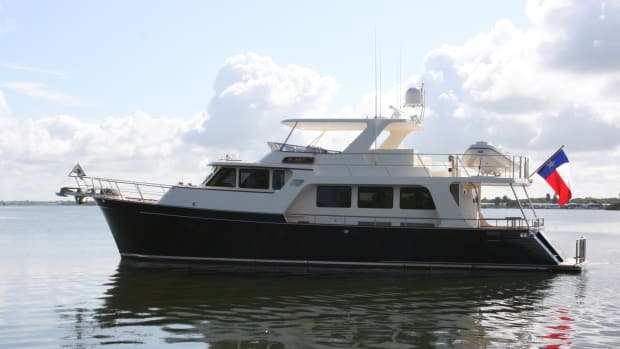 According to Jeff Merrill of Nordhavn, buyers sometimes make the flybridge the decision point for choosing one over the other in the N55/60/63 series. 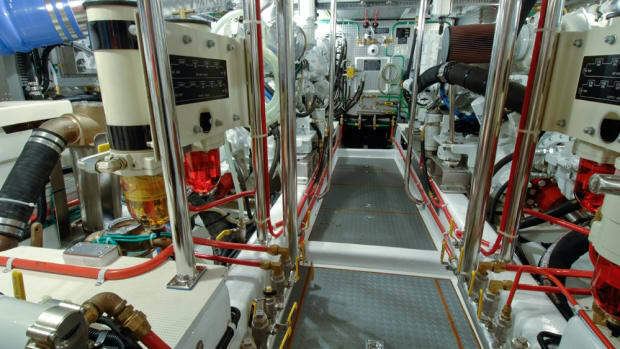 And what of the first-generation Nordhavn 62 that was the stuff of our cruising dreams when she appeared in 1993? 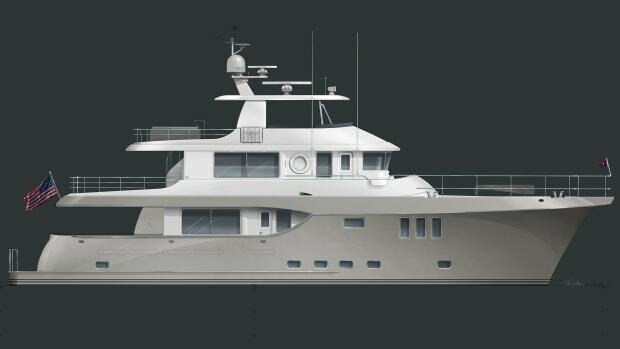 This is the yacht that Nordhavn just can’t retire, and the company will still gladly build one to suit an owner. But, because it weighs in at about 50 percent more than the N55/60/63 and is much more complicated to build, the 62 is appreciably more expensive. Add to that the slip-unfriendly beam of 19 feet, 4 inches and it’s no surprise her sales have dwindled. 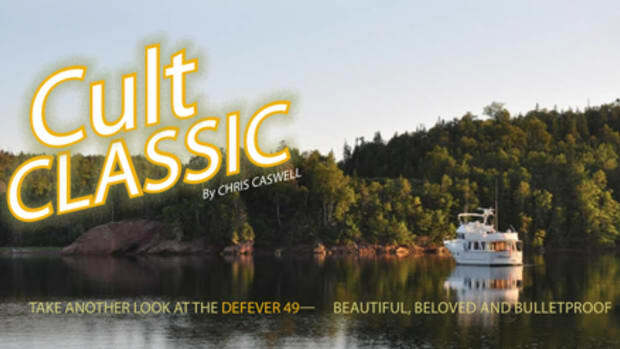 But her reputation as a tough bluewater cruiser continues to make her a timeless classic that is still in demand. Nordhavn 55/60/62/63: Take your choice.